Little Jack is a year old! I can't believe it has been over a year since we started the Grow-With-Me package for this sweet family! From the beautiful maternity session to meeting little Jack a month or two later, to watching him crawl and then trying to keep up with him as he ran around for his one year session, it has been a blast. It is amazing to see these little ones grow up from babies to toddlers, and to watch their personalities develop. Jack is a sweet little guy, a bit mischievous and curious. 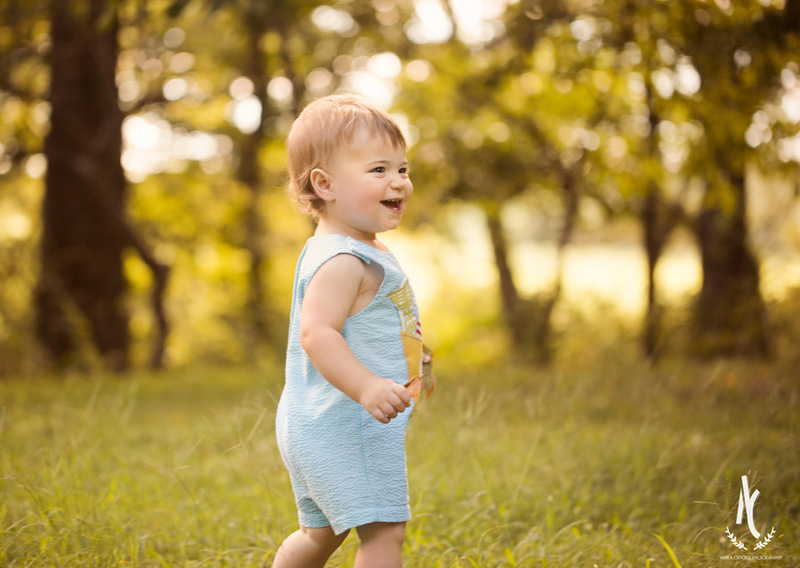 He loved exploring at this session, and he was just itching to get closer and closer to the pond. Maybe he will grow up to love fishing like his dad! 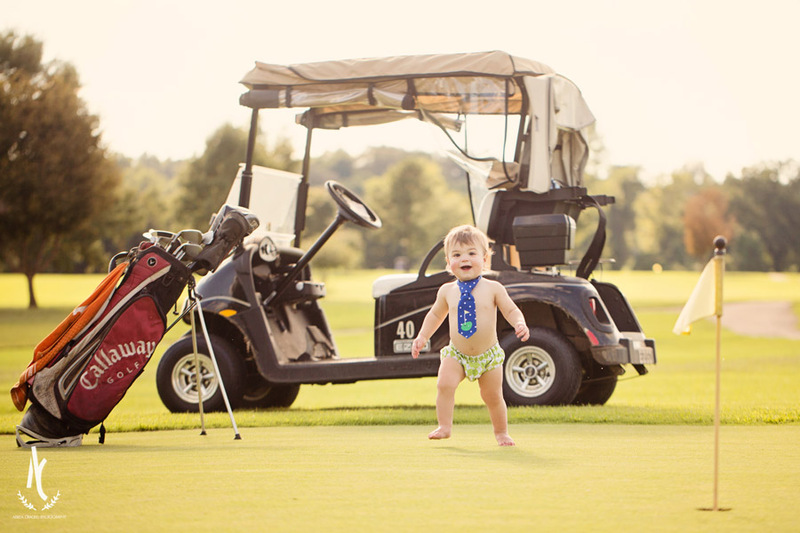 We ended this session at the golf course with a cake smash, and Jack had lots of fun with that part. :) Hopefully he won't expect so many cheers now when he gets food all over his face, but we couldn't stop laughing as he ran around in his birthday outfit, cake everywhere! So many giggles. Happy first year baby Jack! It has been a privilege to be your first photographer!